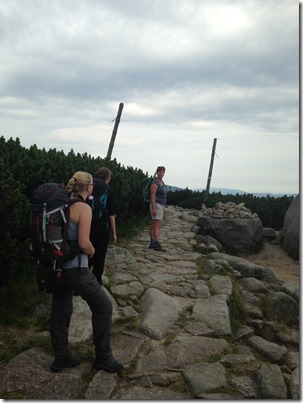 We drove home from Pardubice in the morning, arriving home around lunch time. It was raining in Brno. Temperatures have dropped by 15 degrees C overnight. But Romana and I found a window without rain by carefully studying the online weather radar and we used it to the max. It was quite windy and choppy but that didn’t stop us from doing a lot of technique drills. As a result, we managed to row well in the chop and when we reached the quiet areas of the lake, we were flying (at steady state pace). We got enthusiastic and did a race start, and two race pace intervals of 15 strokes each. A nice row. When we were cleaning the boat, it started to rain again. The two rows in the double of this weekend were both great, and they confirmed one thing. 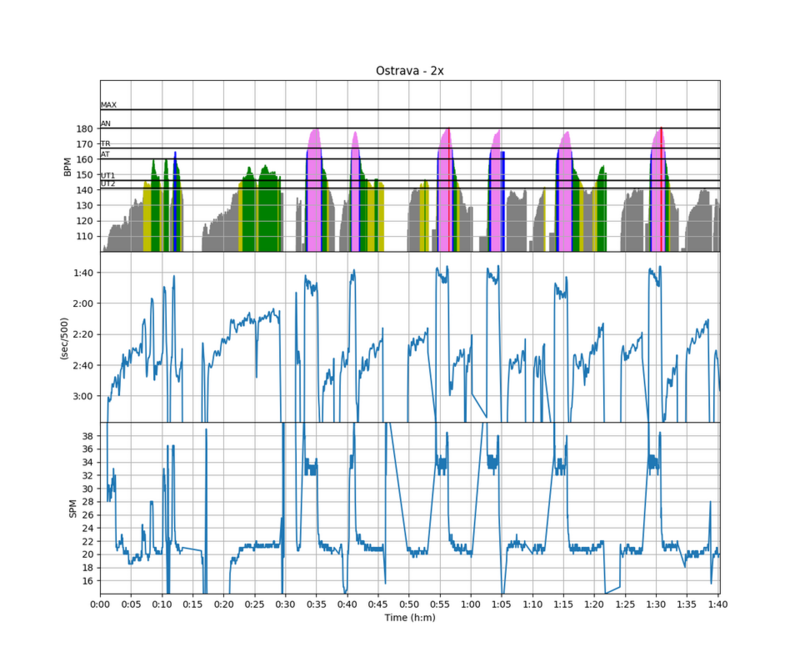 As a result of rowing with the Empower Oarlock and the constant direct feedback, combined with the analysis done at rowsandall.com, I have gradually made small incremental changes on my technique, trying to make the boat go faster. 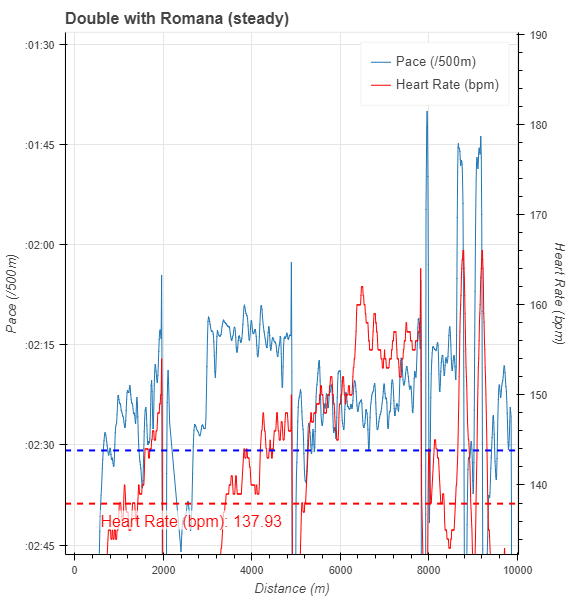 Both Romana and Tomas confirmed that I have made a fundamental change in my stroke, and they had to get used to it. But both confirmed that when they managed to fall into the same groove as I, we were going relatively fast. 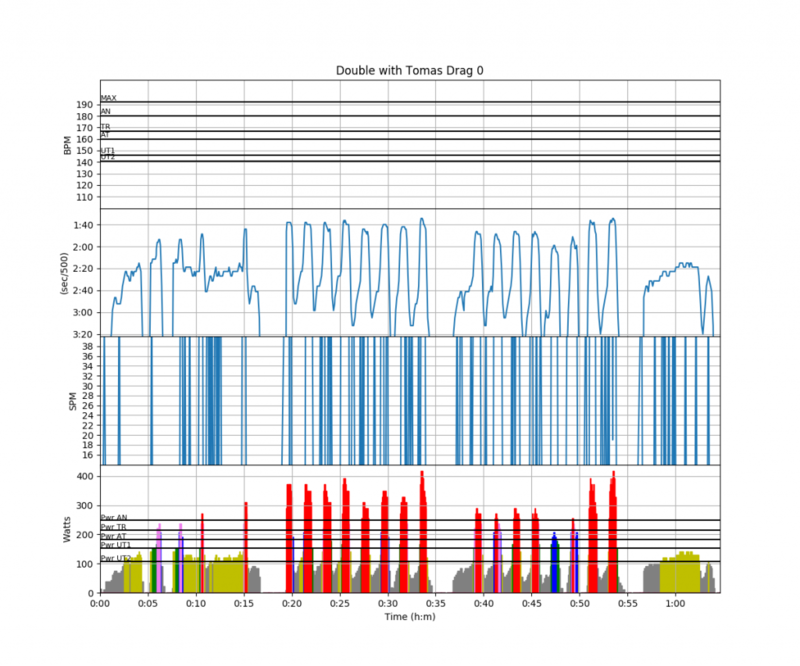 It is a useful metric to monitor stroke to stroke differences at constant stroke rate. 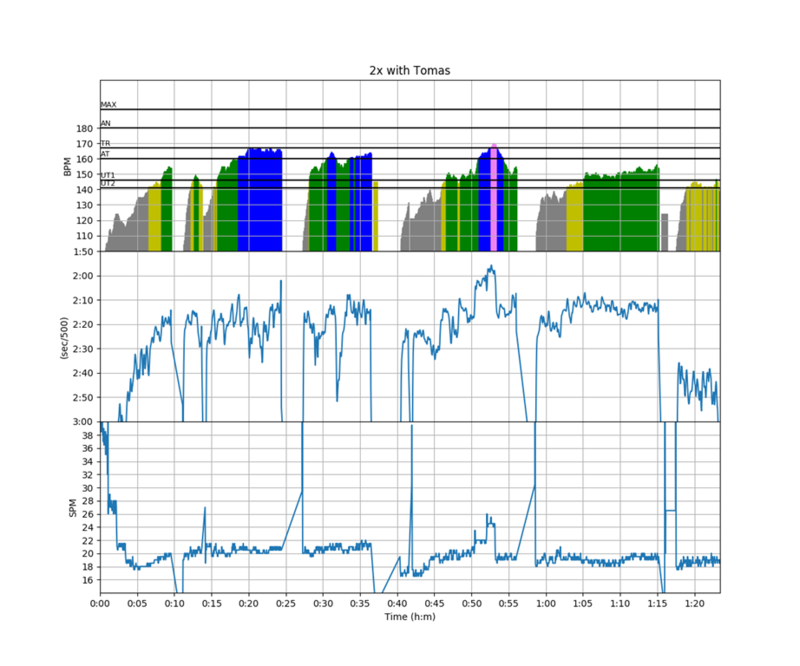 In the headwind intervals, we were rowing well when we reached just over 10 meters/stroke at 21 spm. In the tailwind intervals this was about a meter further. A week in the mountains with my family, including a friend of Lenka. 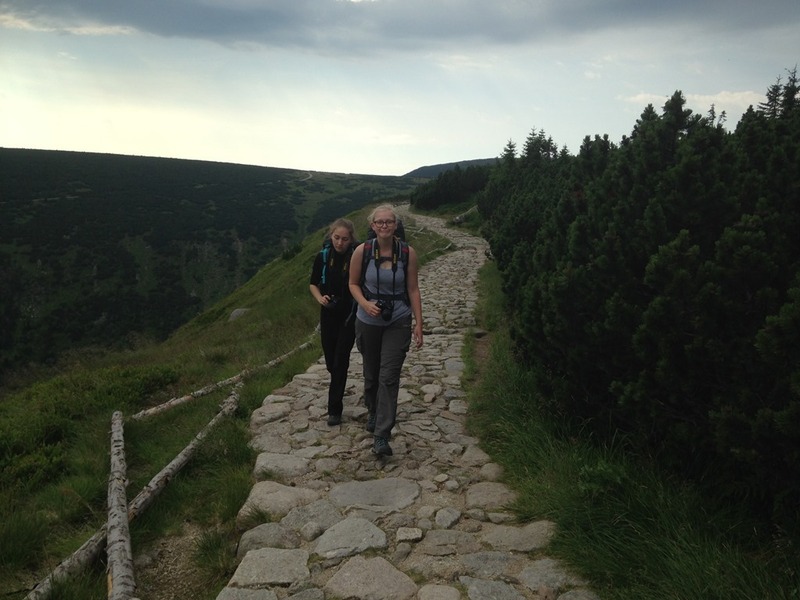 We stayed at Romana’s family cottage in Paseky nad Jizerou, but we also did a 3 day trek of about 50km, doing a 900m climb to the Czech Republic’s highest mountain Snezka on the first day. Back from the mountains but doing a week of vacation at home. We have some painting to do and a lot of work in the garden. We also want to do some excursions in South Moravia. 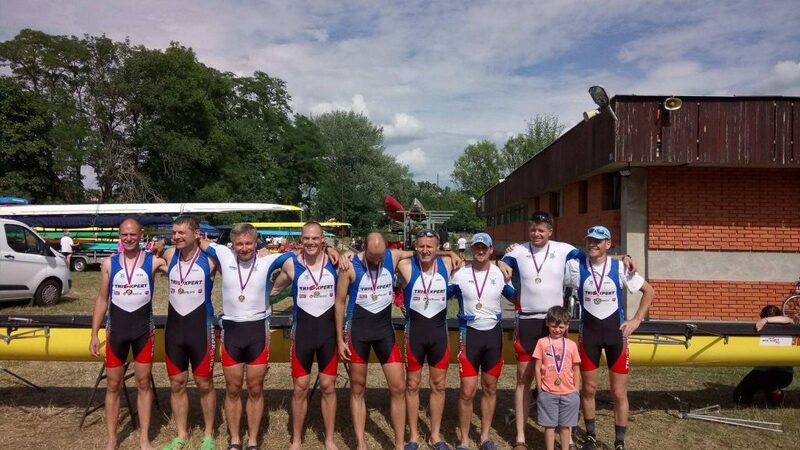 This morning, my brother-in-law Tomas arrived from Pardubice for a row in the double. 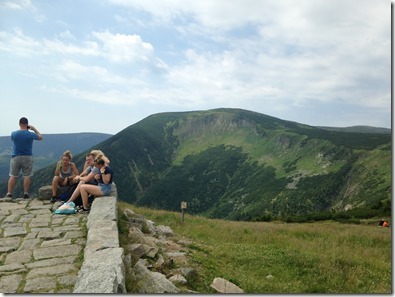 It was a very windy day, so we rowed up to the castle in the relatively protected Svratka river gorge. A first training together after a long time, we decided to “just row” and enjoy the water. It was great. 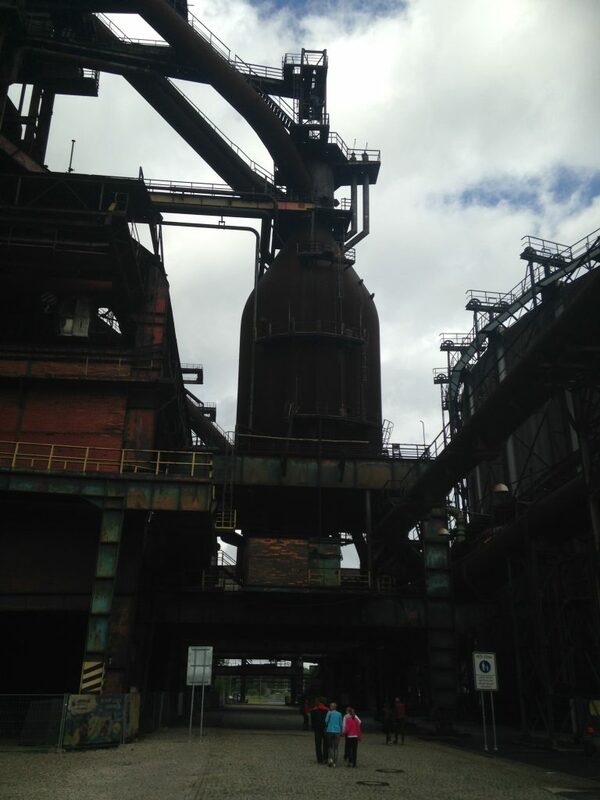 Another excursion to Ostrava (a.k.a. Mordor), this time with daughter Lenka and my lovely wife Romana. 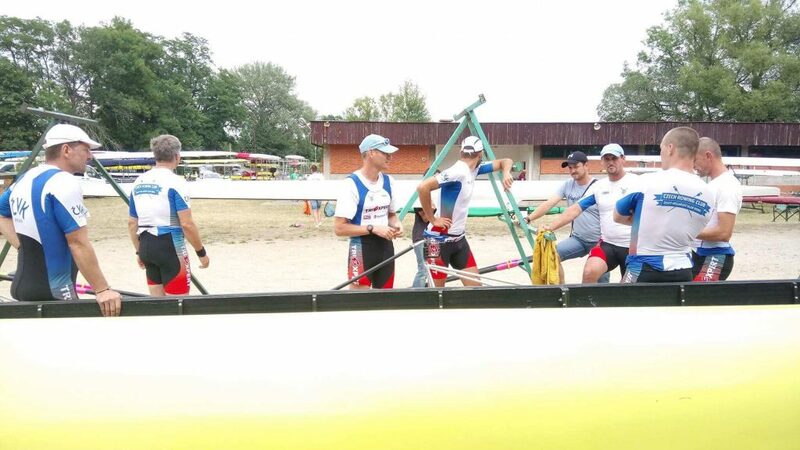 Romca has resumed training, and will row the Masters Worlds with a lady from Ostrava. I went to train with Vojta for next weekend’s Masters Nationals. 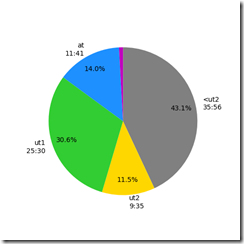 Basically steady rowing alternated with starts plus 20 strokes. All went pretty well. 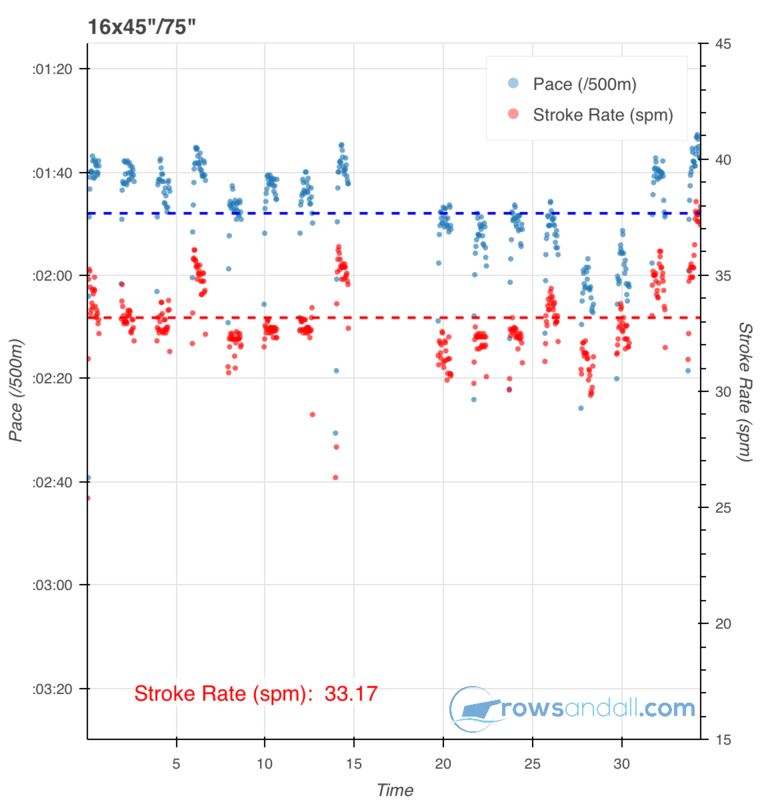 Looks like a start at 42spm, first 200m at 36spm, then the stroke rate will drop naturally as the body is struggling to switch on lactate burning, and then we go again. Not all the registrations are in but it looks like both the doubles and singles races will be very hard. The aces have already registered. 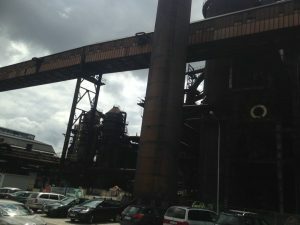 In the afternoon, we had coffee in Ostrava, and then drove home. While I am typing this, I am watching the Lucerne races which I recorded. 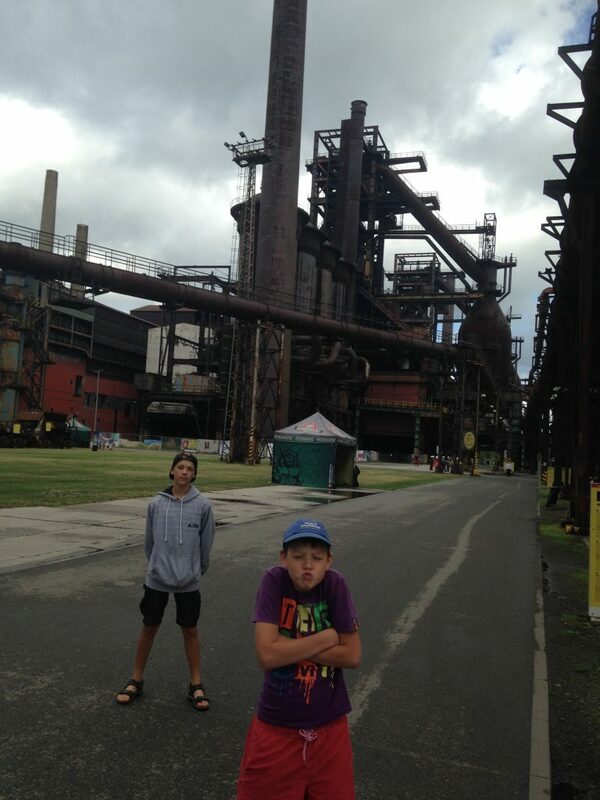 The ladies are still at the Open/J18/J16 Czech National Championships, so my sons and I are enjoying a men’s weekend. Ostrava grew to prominence thanks to its position at the heart of a major coalfield, becoming an important industrial centre. 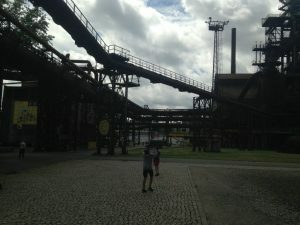 It used to be nicknamed the country’s “steel heart” thanks to its status as a coal-mining and metallurgical centre, but since the Velvet Revolution (the fall of communism in 1989) it has undergone radical and far-reaching changes to its economic base. Industries have been thoroughly restructured, and the last coal was mined in the city in 1994. 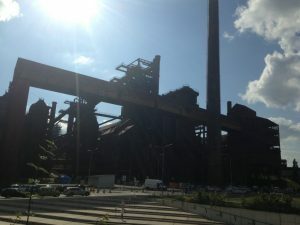 However, the city’s industrial past lives on in the Lower Vítkovice area, a former coal-mining, coke production and ironworks complex in the city centre boasting a unique collection of historic industrial architecture. 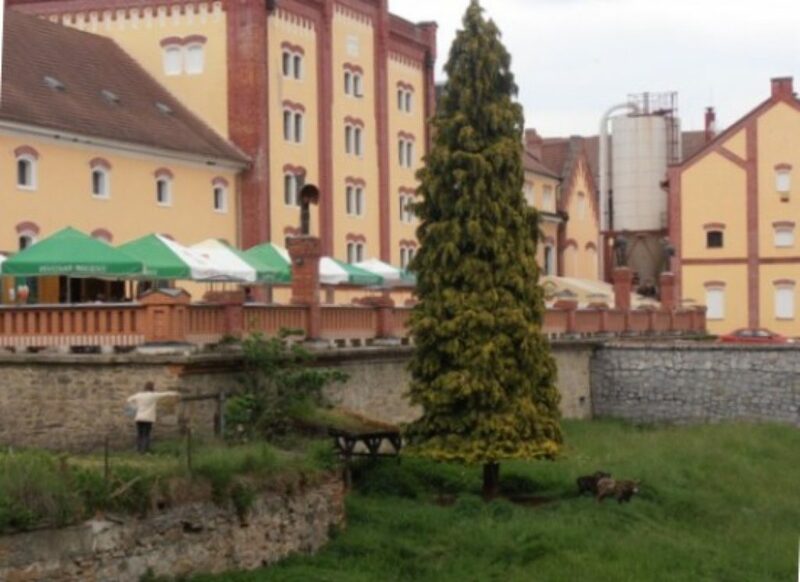 Lower Vítkovice has applied for inclusion in the UNESCO World Heritage List. 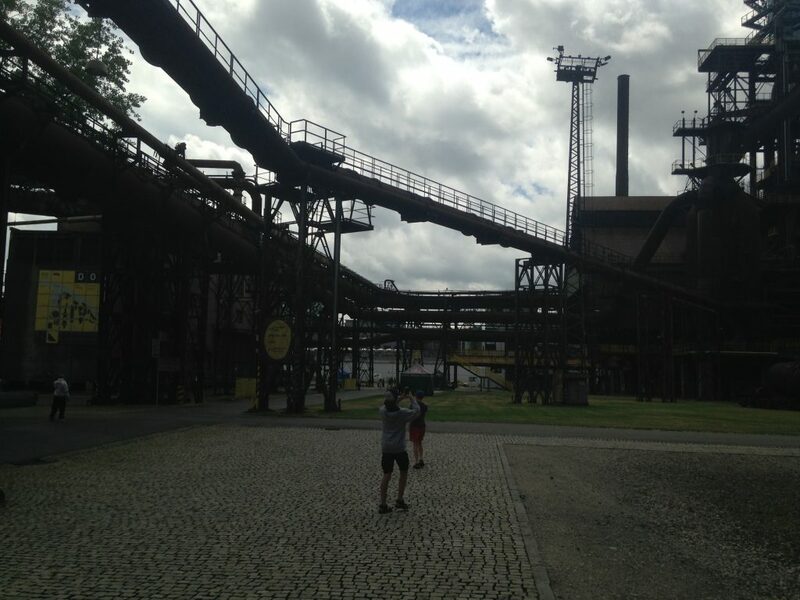 When we arrived in Ostrava, the boys and I started to call it Mordor. It’s a strange place. Lots of abandoned 19th and early 20th century industry sites. Lots of buildings falling apart. On the horizon beautiful mountain ranges. 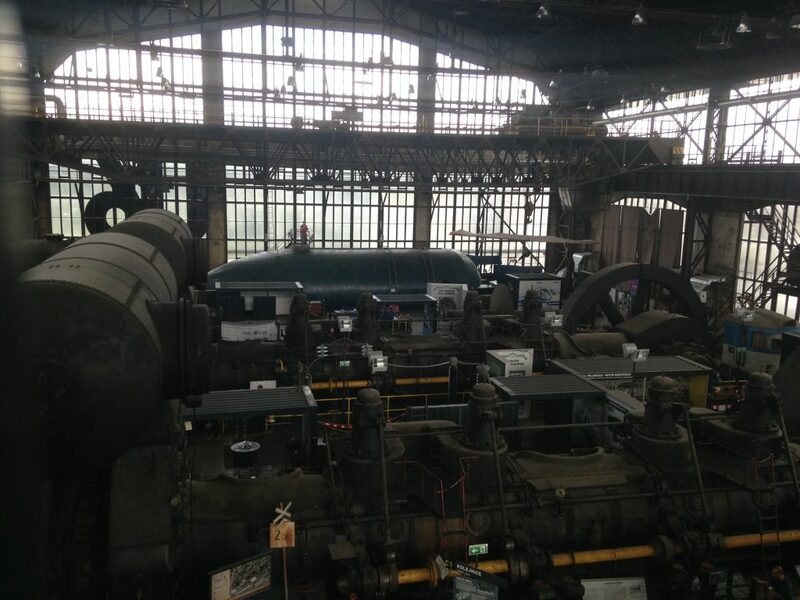 It has a funny atmosphere. But the reason to visit this interesting place was rowing. 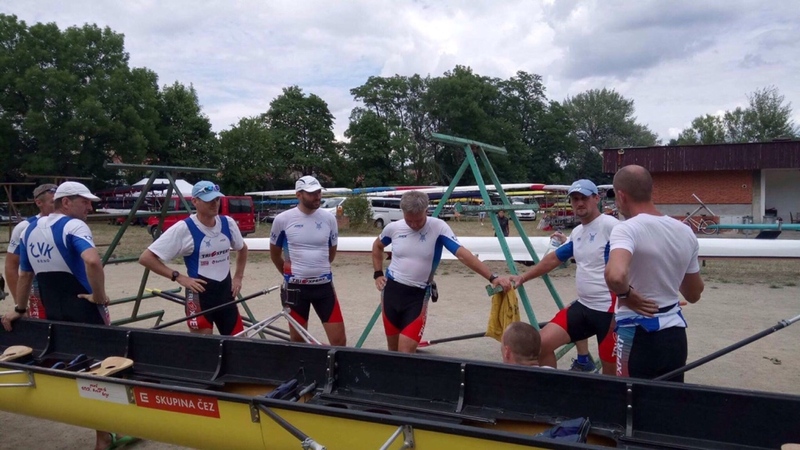 As I am rowing the Masters Nationals with Vojta Cernak from VK Perun Ostrava, I was up for a training on his Filippi 2x, on the river Odra. 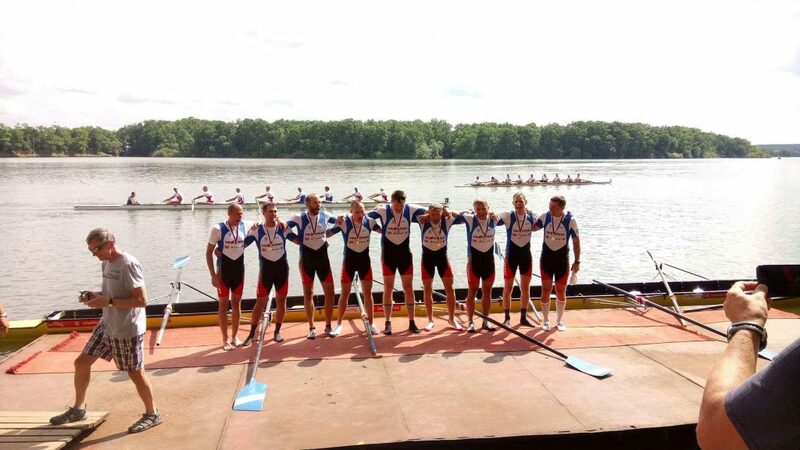 We installed my sons Dominik (12) and Robin (10) in the club house, where they were watching the Tour de France, playing games on their smartphones and other fun stuff, Vojta and I took the double out for a long row. For this training, I had two aims. First, to do some technical drills to get us rowing together and set up a stable base on the double. 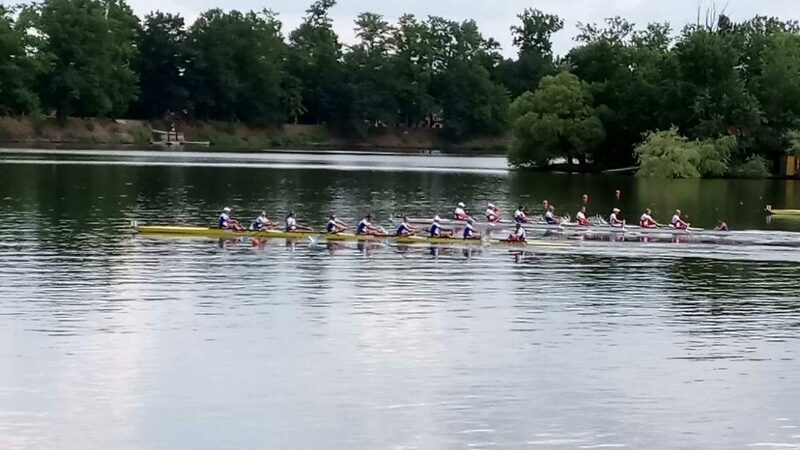 In the past two sessions, we rowed on my boat on the Brno lake, but with all the traffic, Vojta wasn’t comfortable, and was turning around to watch traffic every few strokes, which negatively impacted boat feel. Now, on his home river, where he knows every turn, this should be better. 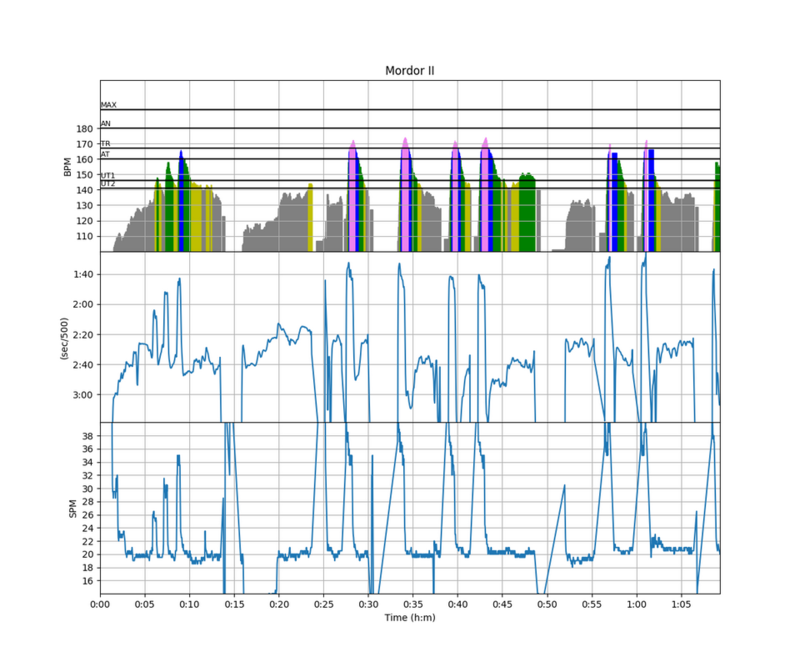 So technical drills first, then some race pace segments. We did a lot of square blade rowing in the first 2.5km against the stream. Then we used the downstream part to do rowing with stops, working on being together especially in the final part of the recovery. Then we turned around for another loop, during which we did a 500m and a 30 stroke interval. Finally, we agreed on a usable format. Our “500m” at race pace would be 60 strokes at 34spm, followed by 10 strokes full out. That was fun to do. We did the 34spm strokes at 90%, focussing on technique and being together and I think we did quite well. 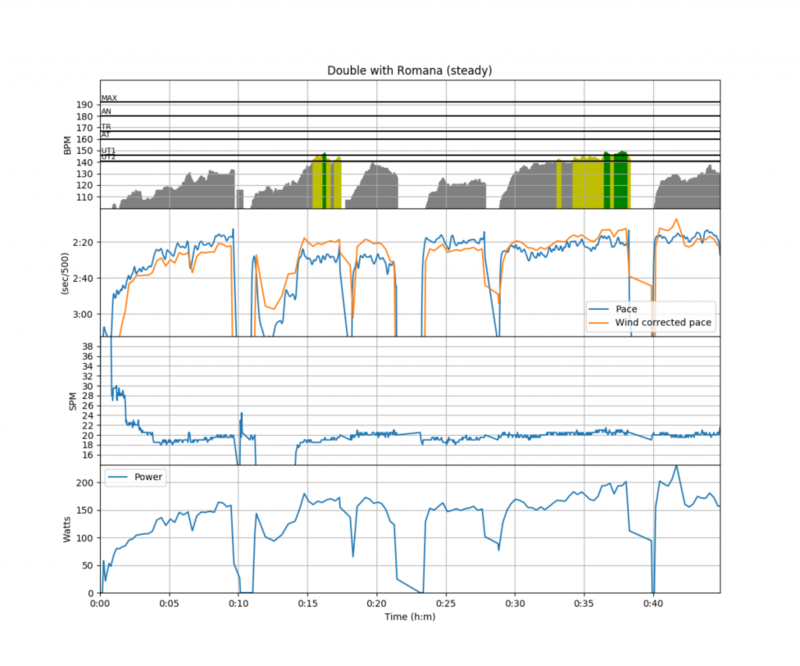 All intervals were done from a standing start in order to practice that as well. The Odra river is a slow “S” turn, and it was beautifully flat. 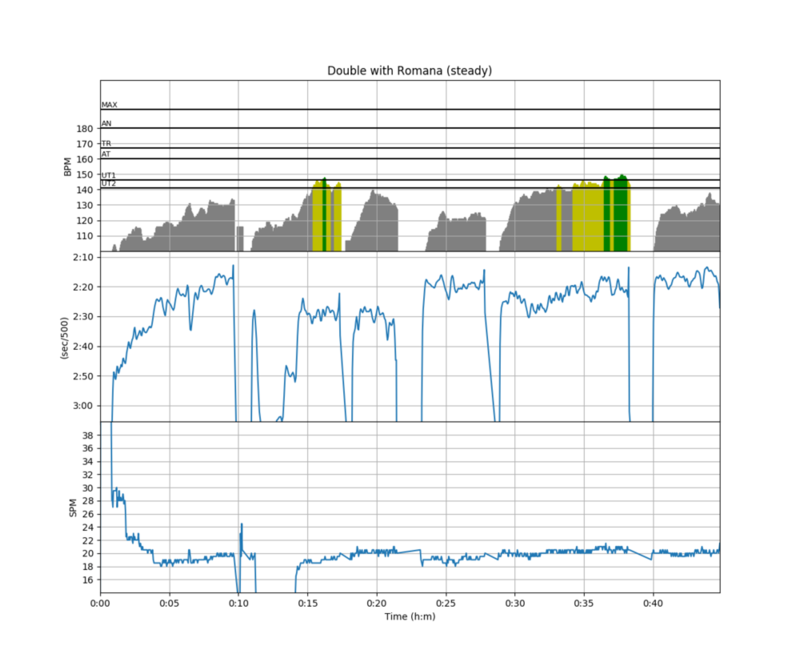 In the low intensity strokes between the intervals, we were dowing 2:20 pace downstream/tailwind and 2:35 pace upstream/headwind. It was a very nice experience. I think we finally nailed these 70 stroke intervals and we now feel very comfortable at 35spm. Also, we know that we are capable of doing a 40spm sprint while keeping technically together, so that is a good thing, because we may need it in the race. 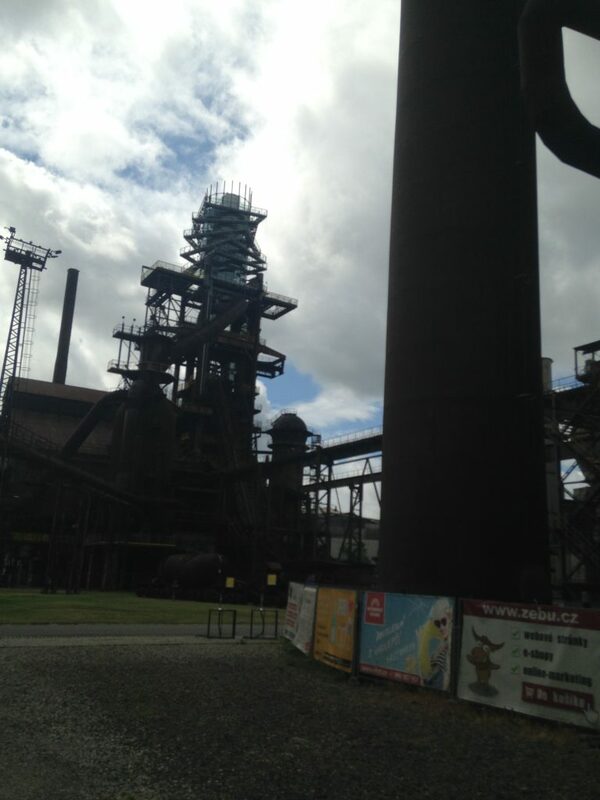 After that, we had lunch together, and then I drove to the Lower Vitkovice area with the boys. This is an amazing place. 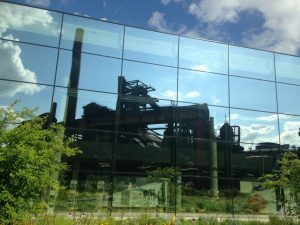 A coal mine, coke production and ironworks complex in the middle of the city turned into an urban park, with a great technical museum. We spent more than three hours there, and we left only because I didn’t want to be at home late. It’s a two hour drive of 170km, so it was me who was getting tired. Given a choice, my sons would still be there, trying to operate a steam loc, playing in the automobile simulator, or learning about how an ironworks plant works. It was a brilliant idea to make something of Ostrava’s brutal industrial heritage. The ruins of a coal mine and a steel smelting plant have been converted into an area of clubs, concert halls, cafes, and attractions, including the splendid Bolt Tower that you reach by lift. The whole area is work in progress so it will only become more interesting in years to come.